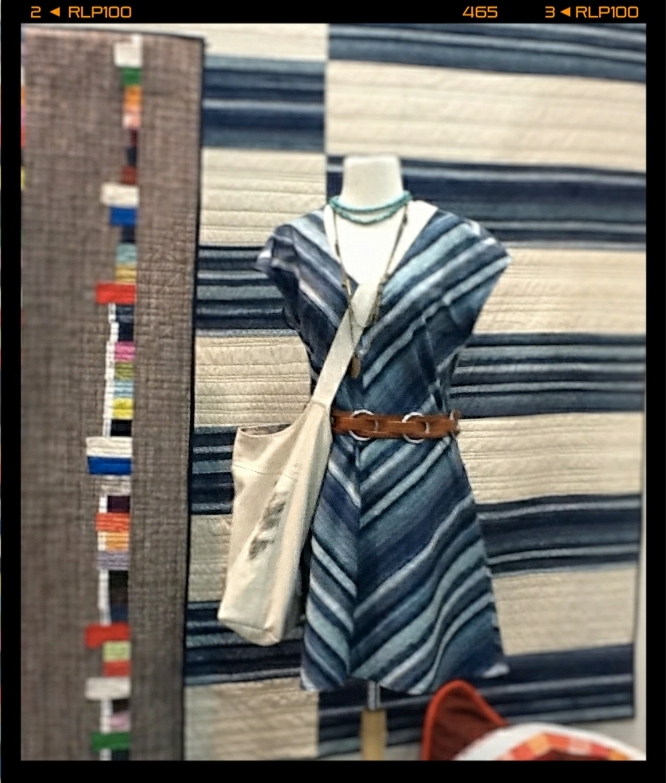 Great Bias Dress made from Studio Stash Blue Stripe. 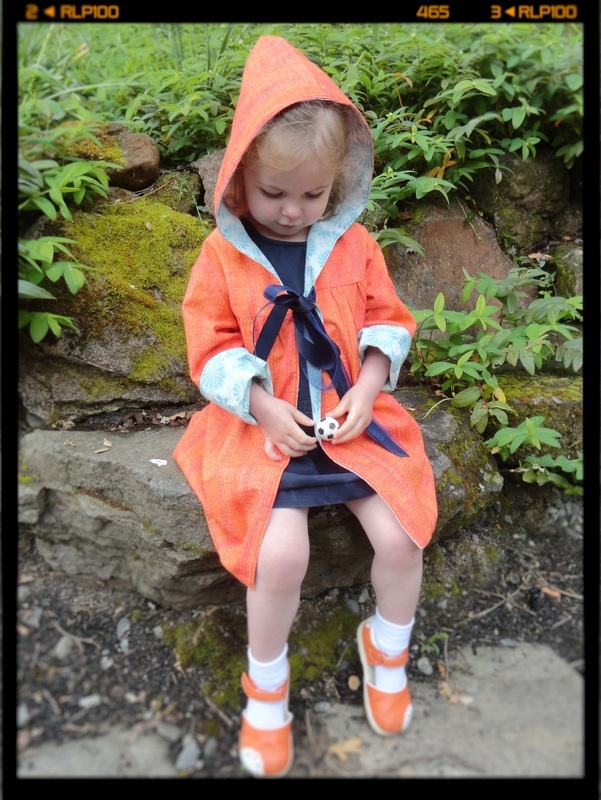 Amelia Dress by Green Bee Patterns. This is my latest quilt called "The Girl with the Pearl Earring" inspired by Vermeer's famous painting. 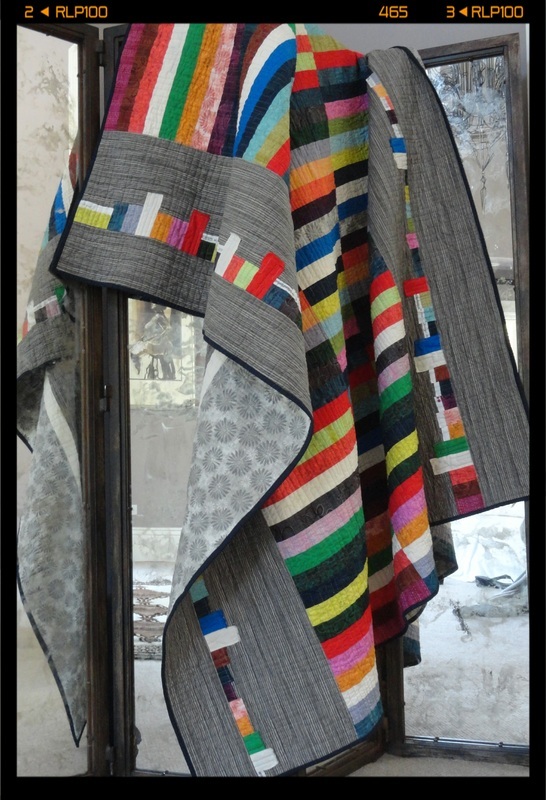 Featured and how to pattern in Modern Patchwork by Interweave Press- Fall 2013. El Sobrante means "leftovers" in Spanish. Selvage cuttings create a rustic modern design. Used Studio Stash midtones and darks with a few Kona Solids. 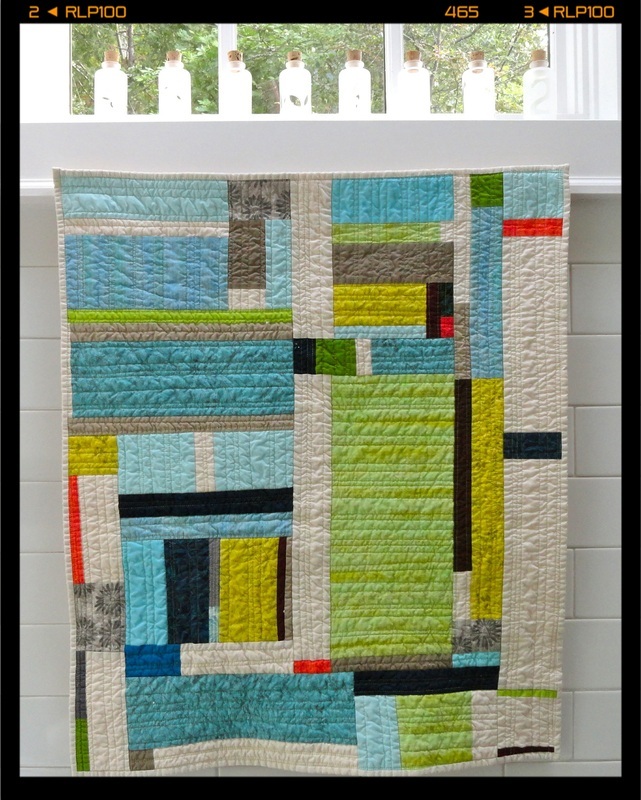 Studio Stash quilt by Melinda Lin combined with Kona snow. Technique used is what Melinda refers to as painting with fabric. She works organically placing strips on her design board and once she has composition she likes, she sews blocks together. Studio Stash Collection as modeled by little miss Lauren. 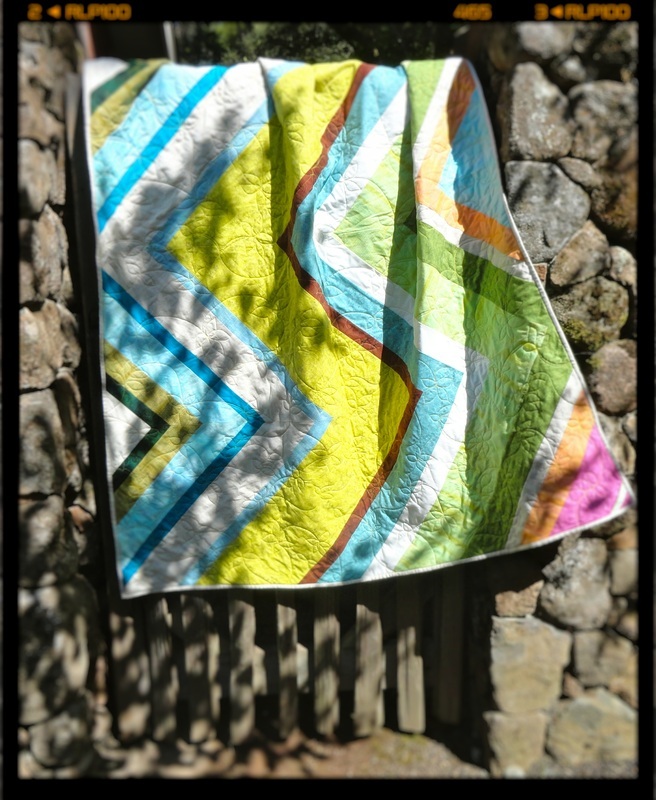 Studio Stash fabrics chevron quilt I designed for my young friend, Shea. 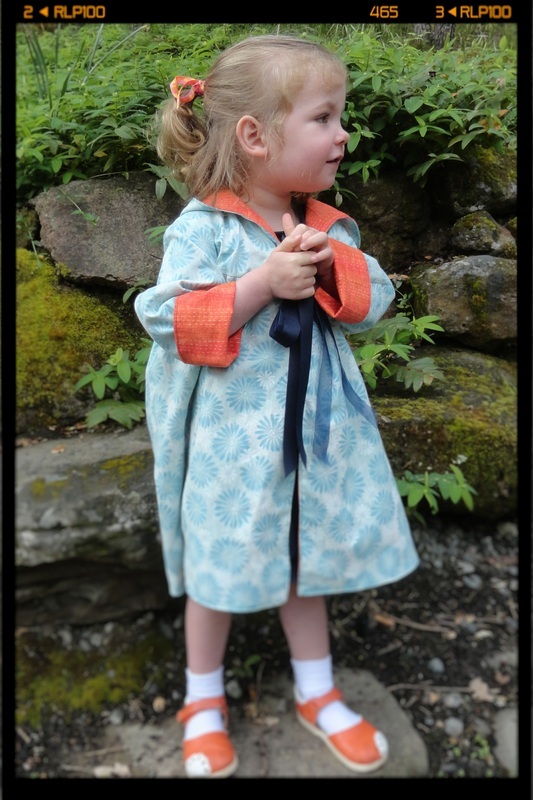 It's a FREE PATTERN I designed for Robert Kaufman to download NOW! 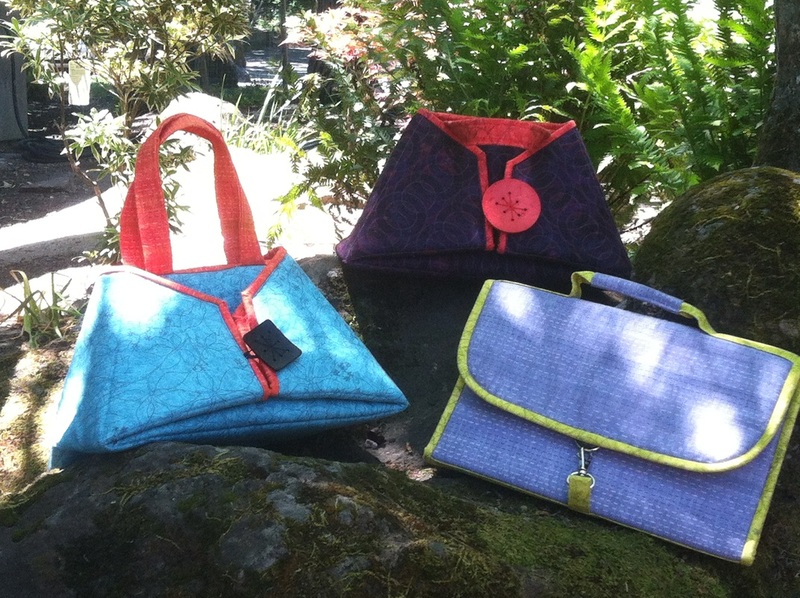 Great Bags made by the women at the Cotton Patch in Lafayette, CA! 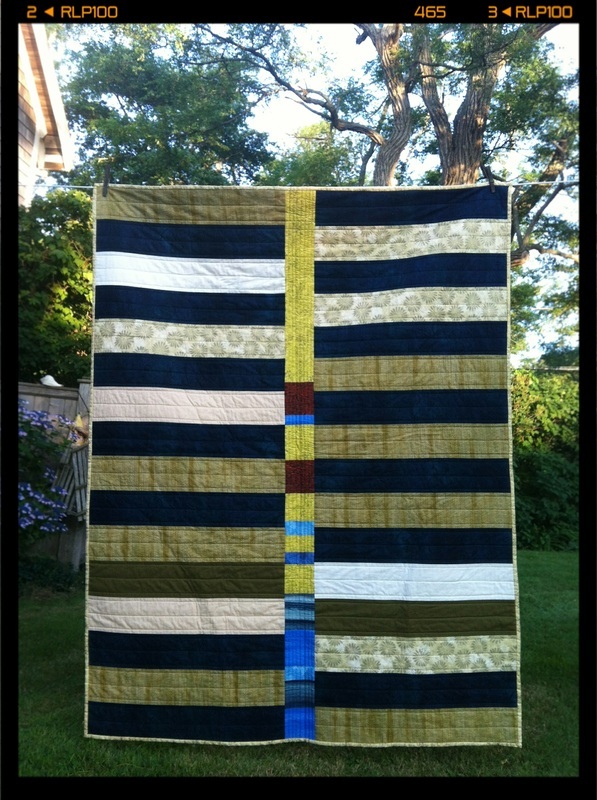 What I love about this quilt is it's perfect simplicity. 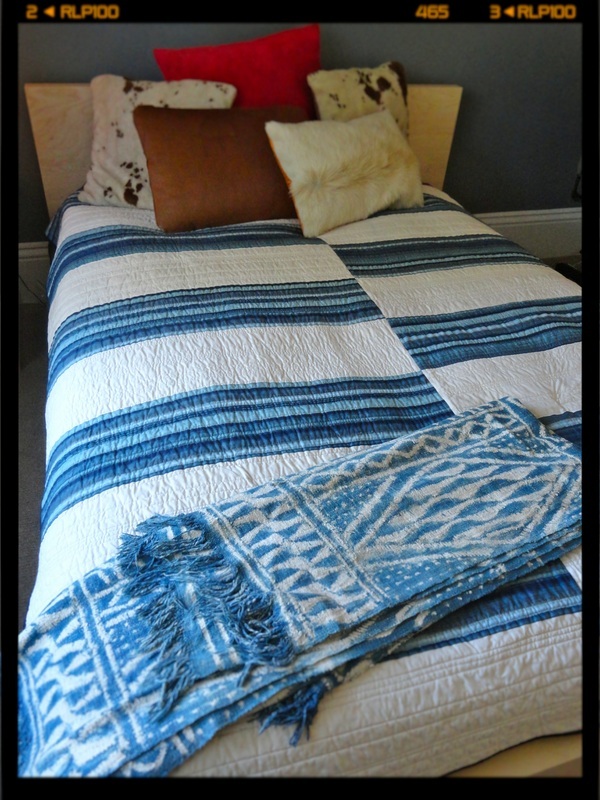 Indigo and white can go into Americana, Rustic Modern or Ethnic depending on how you accessorize the bed! The Process of Making Orbit Quilt- slide show.